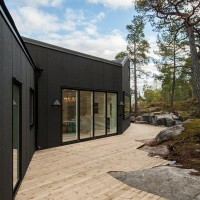 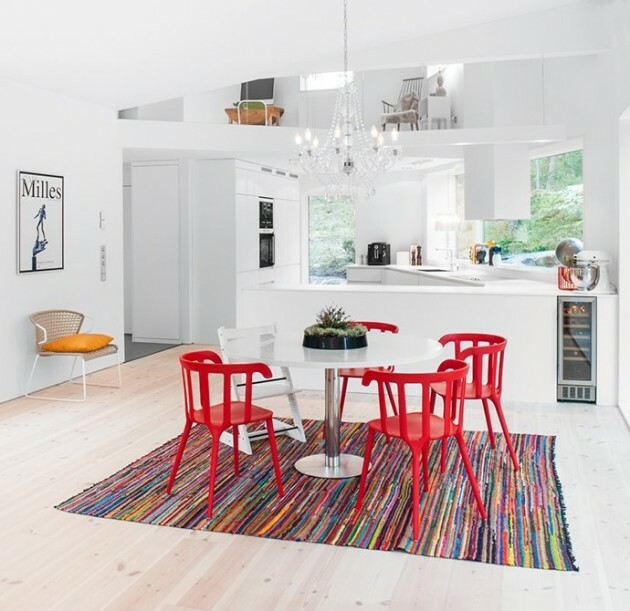 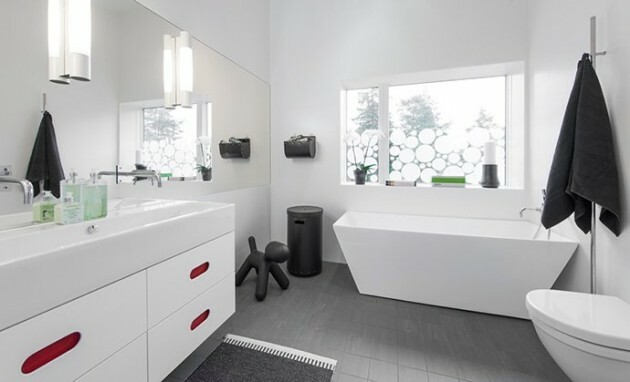 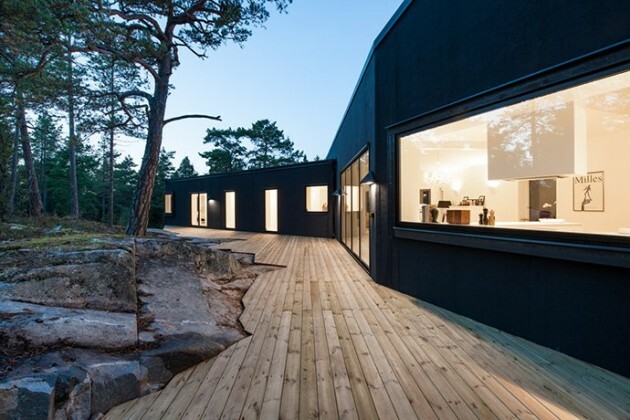 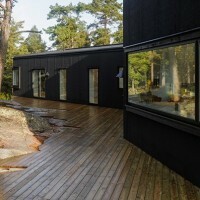 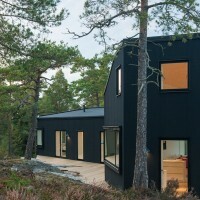 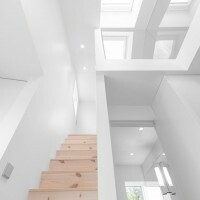 pS Arkitektur have designed Villa Blåbär, a house located in Nacka, Sweden. 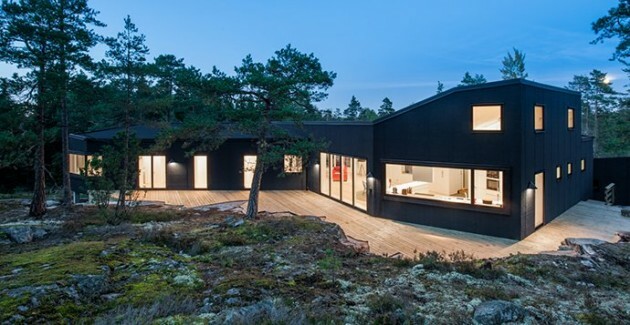 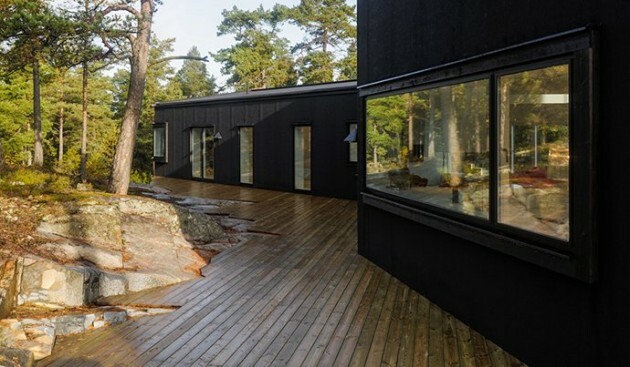 Delightful views into the lush forest, spatiousness and a daring, uncompromising design was the starting point for the development of this house in Nacka, outside Stockholm. 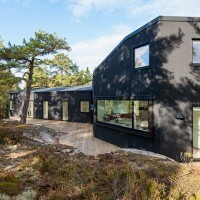 The house, which is fully covered in roofing felt, was created during a number of workshops with the client, where different volumes were tested in model. 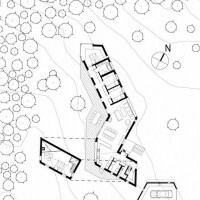 The challenge was to place all rooms on the same level, while also fitting the geometry of the house with the sloping ground. 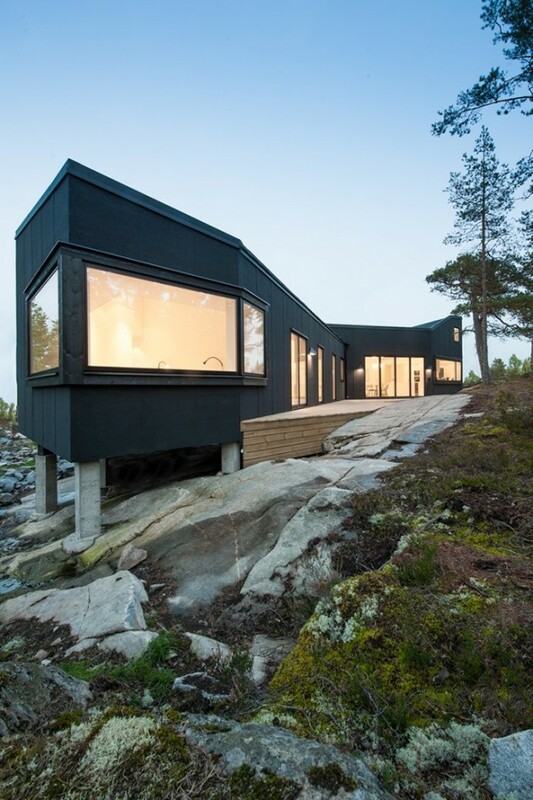 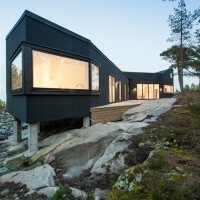 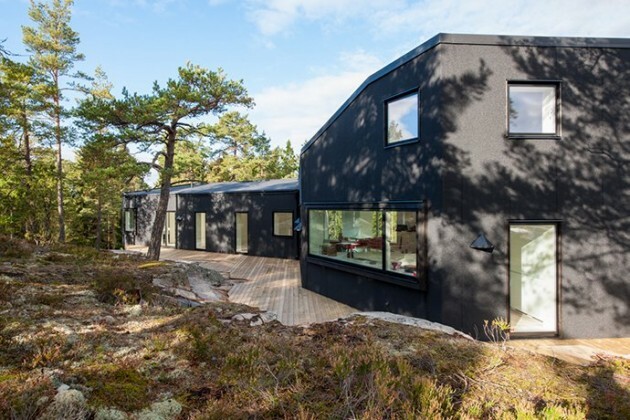 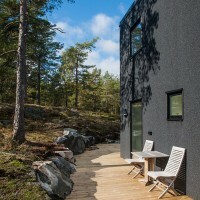 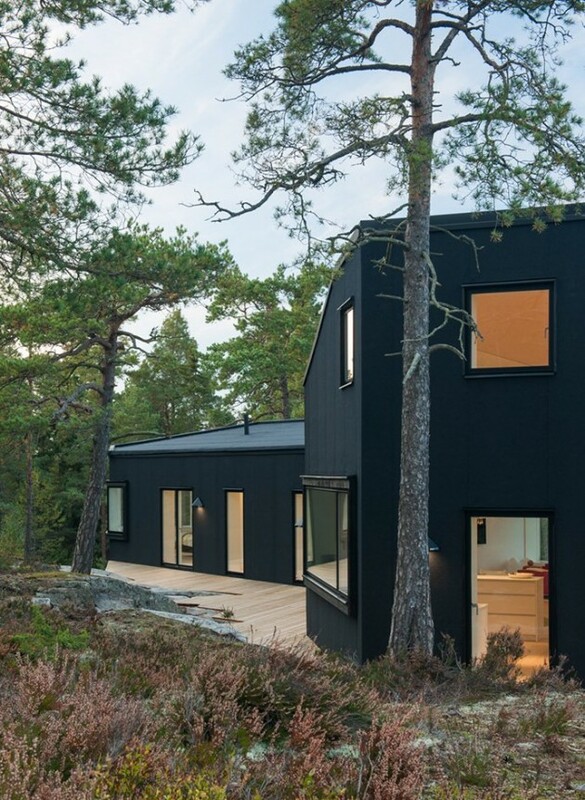 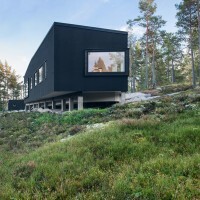 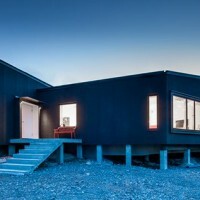 The house is hovering on concrete blocks over the beautiful natural building site, which is covered in heather, blueberries and slender pines. 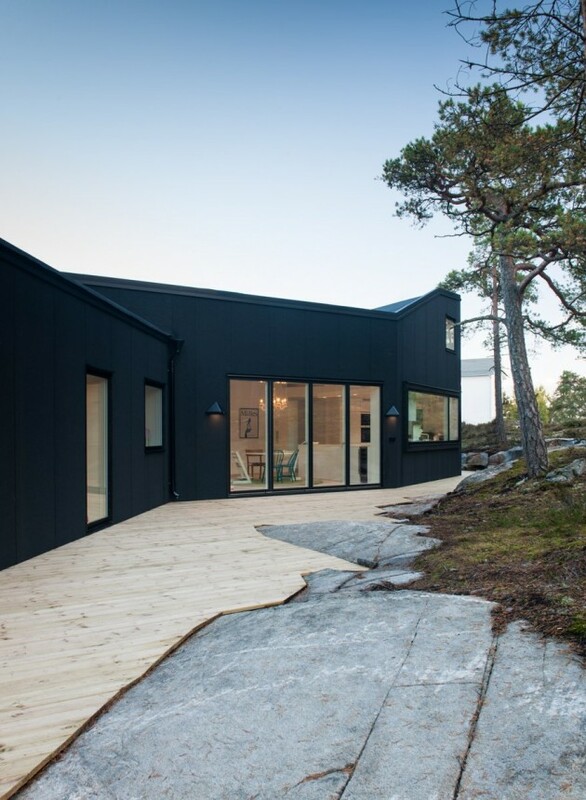 The slate black surface of the exterior contrasts the white interior. 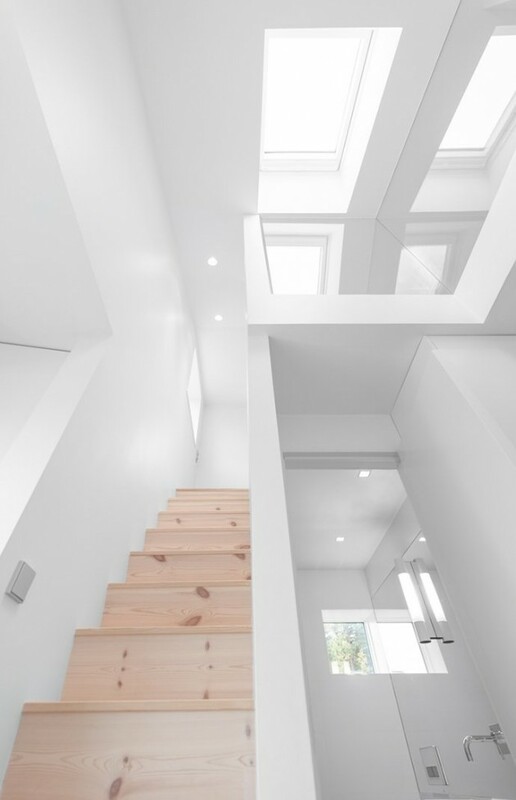 Wardrobes, lighting and sockets are inset in walls and ceiling to give an even and clean look.